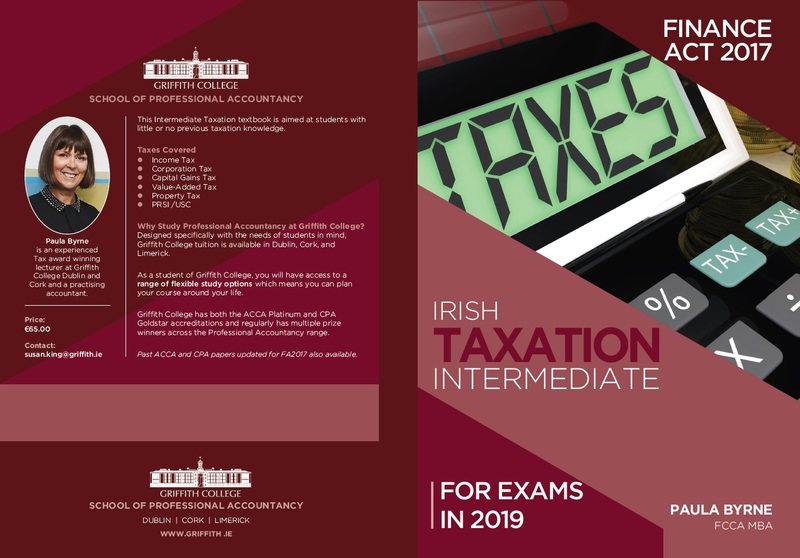 Paula has authored two Irish tax text books, published by Griffith College Dublin, which are available for purchase; Irish Taxation Intermediate and Irish Taxation Advanced aimed at the third level and professional accountancy student. See below for further details. The Intermediate Taxation textbook is aimed at students with little or no previous taxation knowledge. It covers the ACCA TX (previously F6), and CPA F2 Taxation syllabus. The Advanced Taxation textbook is aimed mainly, (but not exclusively), at students with some previous taxation knowledge. 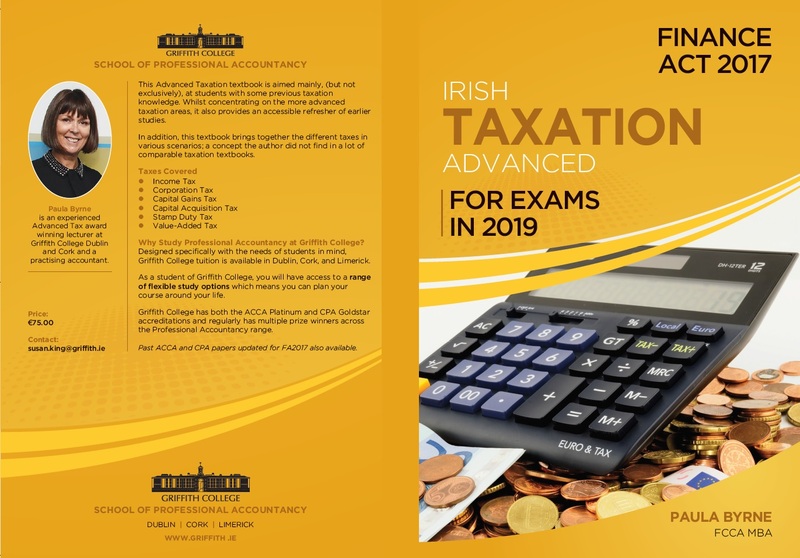 Whilst concentrating on the more advanced taxation areas, it also provides an accessible refresher of earlier studies. In addition, this textbook brings together the different taxes in various scenarios; a concept the author did not find in a lot of comparable taxation textbooks. It covers the ACCA ATX (previously P6), CPA P2 Taxation and the CATPA syllabus.